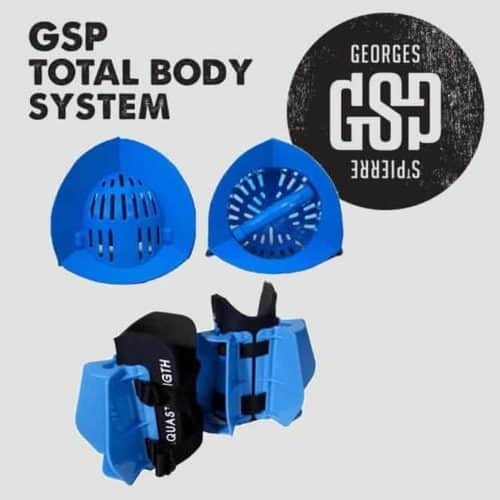 Create the ultimate pool gym with this upper body blasting and lower body conditioning bundle. 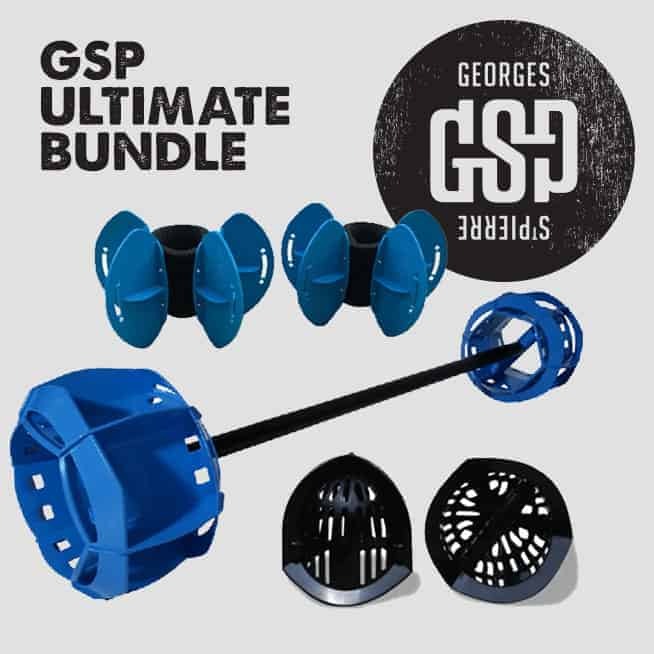 This Aquastrength Barbell and Total Body Bundle brings you all the pieces that Georges uses in his own workout sessions. The Aquastrength Barbells unique design allows the user to perform a multitude of exercises that focus on dynamic flexibility, upper body, core strength, coordination, balance, rotary stability, power, agility and endurance. 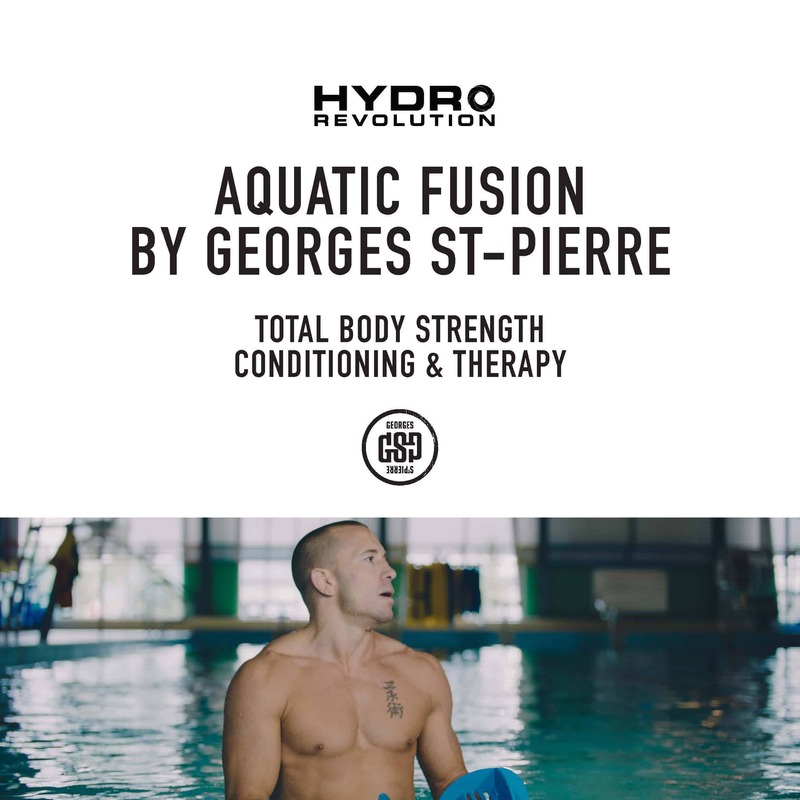 The Barbell has one Aquastrength Bell permanently attached at each end to provide multi-directional resistance in the water. This workout bundle includes our popular Aquastrength Barbell, Aqualogix/Aquastrength Fins, Aqualogix/Aquastrength Bells, 2 Hydrorevolution Printable Workouts and the Premium GSP Aquatic Fusion Workout so you can get in the water and start working out straight away.